Charles Garrad’s Waiting for You seems to tick all boxes. A good dose of Indie cinema; Merlin no less as the front man with a mysterious French twist and a dash of summer romance promised. Albeit, after viewing, Waiting for You, it seems that we are still waiting for the narrative to truly take off. 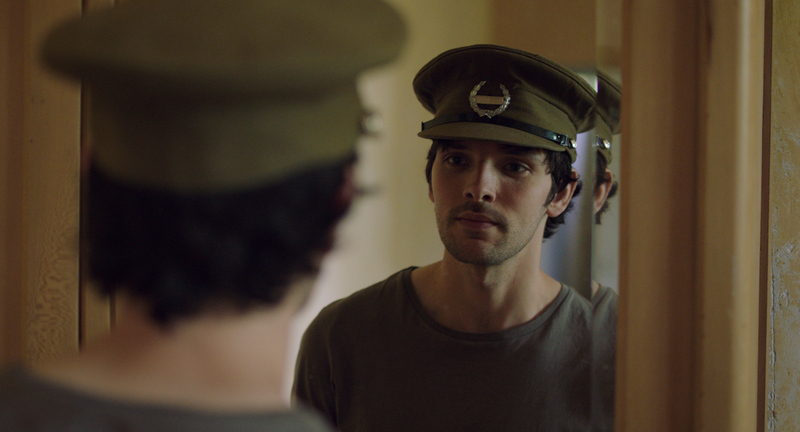 Part of this year’s highly esteemed London East End Film Festival, this tale starts with the death of Paul’s (Colin Morgan) father, as he reveals a confusing, yet intriguing clue to his former life in Army that his son and indeed his wife never knew about. Becoming obsessed with his father’s last utterance, much to his mother’s dislike with her late father’s past; Paul goes full Sherlock (Cumberbatch still takes Gold) after finding an old photo and follows other prompts that lead him to a rather stunning house in the middle of nowhere in the sunny French countryside. Using his own past to unlock his fathers, Paul poses as an architecture student, sweet talking the gardener into approaching the Lady of the manor to ask if he could see the house that is so deeply rooted in the story of his newly found secrets. After some more sweet talking he finally gets to see the house, being careful not to get in the way of the very private and shadowy owner, pianist Madeleine (Fancy Ardant). When it’s revealed as to who she is and how she is connected to Paul’s exploration the slight mystery lingering in the air to this ticks over nicely. As we follow Paul on his journey, Morgan portrays a man with a mission as well as one who needs a dose of romance whilst escaping the rigmarole of life at home. Lead actor Morgan holds his own without magic and a dragon, but in no way does this push him. His big eyes and awkward mannerisms gel with his rather unsure of everything Paul, and there is sure to be an ‘awww’ sound throughout the theatre when you see him desperately try and chat to the confident and pretty Sylvia (Audrey Bastien) where he is staying. With this being a short and sweet 92 minutes, our writers get us straight down to business although it takes a good hour before anything actual comes of Paul’s snooping around. There’s certainly nothing wrong with a slow burner, yet Waiting for You presents itself in a rather unnecessary convoluted way. A tad more urgency would have done wonders here, and would have perhaps diluted the fact that you can’t stop thinking about a nice, crisp glass of wine in the French sun rather than the story at hand.